Originally published under the title "The Quakers, No Friends of Israel." American religious history is filled with examples of faiths whose public perceptions defy deeper realities. The Quakers, for instance, are known as peaceful and supremely benign. Few suspect that one central mission is promoting the boycott, divestment and sanctions (or BDS) movement that opposes Israel's existence. The commitment of the Quakers through their primary organization, the American Friends Service Committee, is unmistakable. 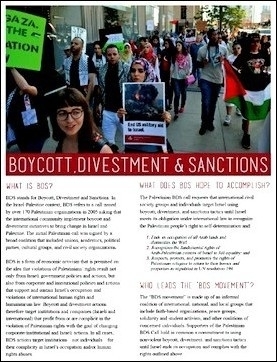 It is a leading member of the BDS umbrella group known as the U.S. Campaign to End the Israeli Occupation and provides support to BDS efforts on numerous college campuses. The AFSC works alongside the Students for Justice in Palestine and the rabidly anti-Zionist Jewish Voice for Peace. Its representatives have even helped write Israel divestment resolutions for student governments. 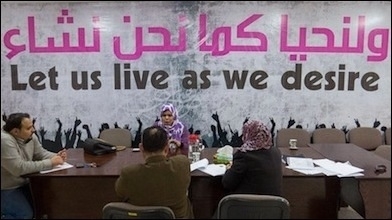 One Quaker group describes the BDS movement as "the transforming power of love and nonviolence, having faith that enmity can be transformed and that oppression can give way." How much of the AFSC's almost $160 million annual budget is devoted to BDS isn't known, as the Internal Revenue Service classifies the organization as a church. Quakers, who tremble or "quake" before God, began as dissenting Protestants in England during the 17th century. Adherents rejected traditional sacraments—baptism and the Bible's inerrant authority—and instead bore witness through "spirituality in action" and followed the "inner light," which founder George Fox described as "spirit, and grace, by which all might know their salvation, and their way to God." The AFSC works alongside Students for Justice in Palestine and other rabidly anti-Zionist groups. The faith opposes all violence and rejects any compulsion in religion, and the sect has no formal church hierarchy. The closest thing is the AFSC, which was formed in 1917 after the Quakers were challenged over their refusal to be drafted. But by the 1940s the AFSC had grown into a global nongovernmental organization providing international relief, charity and training. After World War II the AFSC played a leading role in European refugee relief and won, along with their British counterparts, the 1947 Nobel Peace Prize. The dawn of the Cold War, however, proved to be a turning point. In 1947 a Quaker faction argued that the threat of atomic war seemed so grave that the organization should abandon its long-standing policy of neutrality. Thus the group began directly challenging America's Cold War policies. That laid the groundwork for the Middle East, where Quakers had a long history of missionary work. During Israel's War of Independence in 1948, the group joined an effort to provide relief to Palestinian refugees in the Gaza Strip. For almost 18 months the organization built schools and clinics, and taught vocational skills. Unlike any relief organization at the time (or since), the AFSC conducted an accurate census and reduced the refugee rolls, rooted out corruption and tamed costs. That good work ended the following year, when it became clear that the refugees would accept no solution except repatriation to what was now Israel. Barring that, they demanded permanent international relief. To its credit, the AFSC couldn't countenance open-ended relief, which it believed might harm the refugees' skills and sense of self-respect. The AFSC withdrew from Gaza in 1950, turning the work over to a United Nations organization. After that, the Quaker group gradually abandoned relief work. The AFSC treads dangerously close to replacement theology and outright anti-Semitism. The Quakers began to take a fervently pro-Palestinian stance in later decades. In 1973 the AFSC called for a U.S. embargo on arms and other aid to Israel, and in 1975 adopted "a formal decision to make the Middle East its major issue." It opened an office in Israel, installed specialized staff members at offices in the U.S., and began advocating for Palestinians in Israeli and international courts. The AFSC treads dangerously close to outright anti-Semitism and "replacement theology," the idea that Palestinians were the "new Jews," displaced and downtrodden. Why the commitment against Israel? Part of the explanation is the banal devolution from a peace church into what scholar H. Larry Ingle called "one more pressure group within the secular political community." From advocating for improved relations with communist China and the Soviet Union in the 1950s, to overt support for North Vietnam during the 1960s, the AFSC has long been in the vanguard of the Protestant left. Quakerism's lack of a coherent theology and Christian praxis renders it especially susceptible to shifting fashions. Like other liberal denominations, Quaker membership has shrunk dramatically; today there are fewer than 400,000 American Quakers. Substituting "social justice" for traditional liturgy in large part accounts for the decline—and shows the danger of placing antipathy toward the Jewish state of Israel at the center of religious belief. Alexander H. Joffe, a Shillman-Ginsburg fellow at the Middle East Forum, is a historian and archaeologist. Asaf Romirowsky is a fellow at the Middle East Forum. They are co-authors of Religion, Politics and the Origins of Palestine Refugee Relief (Palgrave Macmillan, 2013).